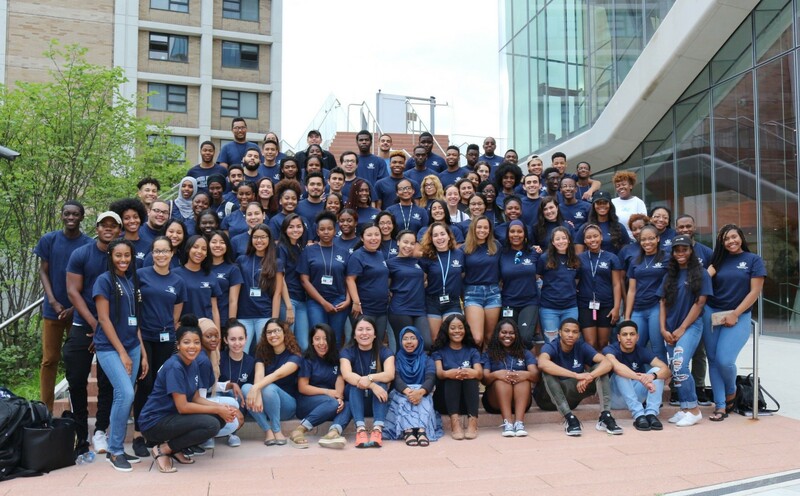 SHPEP at Columbia University Medical Center provides students interested in pursuing a career within the health professions with a well-deﬁned, integrated approach to learning, focusing on the core science curriculum needed to apply to health professions schools for medicine, dentistry, nursing, public health, occupational therapy, physical therapy, and nutrition. Students will engage in intense coursework, labs, learning-skills, and career development courses during the six weeks of the program while participating in practical experiences and seminars. The program strives to help students enhance and improve their chances of becoming successful applicants and students at the health professions school of their choice. Clinical Experience: Clinical experiences will be incorporated into the curriculum for all scholars based on their specialty of interest. Each pre-medical scholar will receive clinical experiences in a hospital, outpatient clinic or community setting. Students in the dental pathway will participate in weekly pre-clinical lab experiences. Students in the nursing pathway will be provided shadowing opportunities at the Primary Care Practice of the School of Nursing in Washington Heights as well as various clinical sites in New York City. Students on the physical therapy pathway will have hands-on experiences in a lab/clinic and will shadow practitioners across a range of practice areas to include behavior health, physical disabilities, and cognitive rehabilitation. Meals: A stipend to cover meals will be distributed in three installments during week 1, week 3, and week 6 in addition to the general stipend to cover the cost of breakfast, lunch and weekend meals throughout the duration of the program. In addition, the program will sponsor group dinners which will be held on Mondays through Fridays. Program participants will have the opportunity to interact with CUMC medical, dental, nursing and physical therapy students at the sponsored group dinners. Travel Assistance: Travel assistance will be provided for all program participants. Cost of travel to and from the program will be covered by the program. Stipend: A $600 stipend per scholar will be distributed in three installments (week 1, week 3, and week 6). Housing: Housing will be provided without charge to program participants at Columbia University Medical Center Campus in Bard Residence Hall. Health Insurance: All scholars will be required to have health insurance to participate in the program. Conﬁrmed program participants will be asked to submit health insurance information. Support will be provided for students who are unable to access health insurance. Social Activities: Scholars will have exposure to the diverse social and cultural environment of New York City through various group activities (e.g. museums, landmarks, plays). Social activities will be planned and led by Resident Assistants.